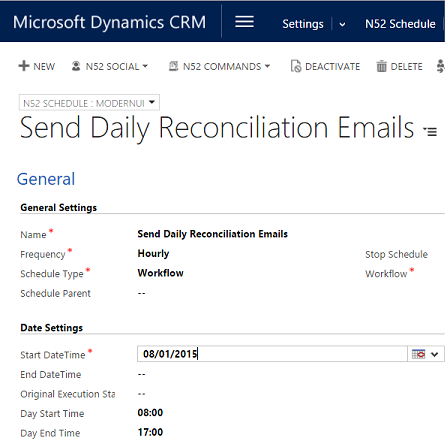 In some CRM systems it maybe necessary to only execute Schedules during working hours. A good example of this is where you have a workflow that sends out emails or maybe SMS messages and you only want these to be sent out during the working hours of say 08:00 to 17:00. When you start the Schedule it will execute immediately regardless of the start and end times you specify. So when putting the Schedule into a production system you should only start the schedule within the working hours you have specified.